Doubly so if the person you’re trying to talk sense into is a teenager or has the emotional intelligence of a five year old. This entry was posted in Quotes and tagged books, quote, Shakespeare on April 11, 2014 by Siobhan. 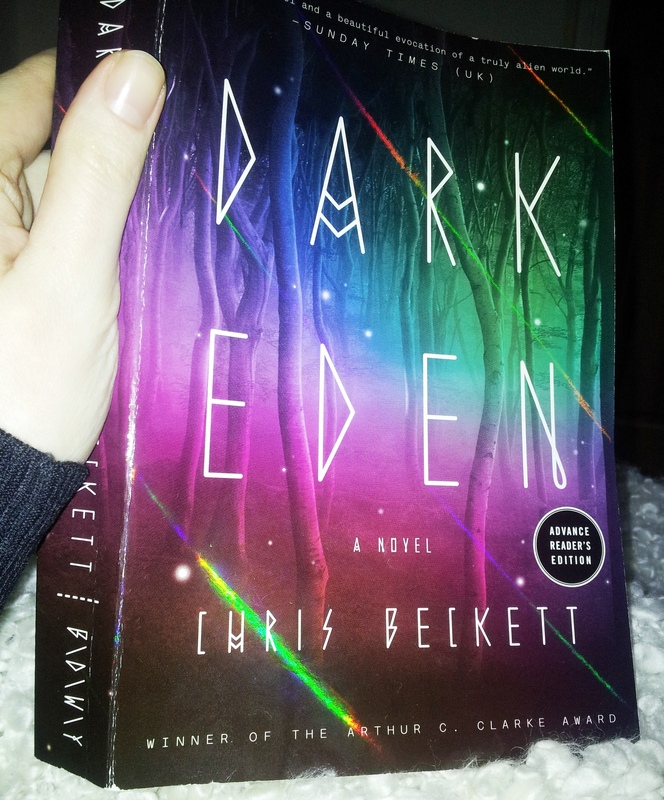 Dark Eden by Chris Beckett, winner of the 2013 Arthur C. Clarke Award for Best Science Fiction Novel of the Year has all the ingredients of an intelligent and assured work of Science Fiction, is a clever reimagining of the Adam and Eve story on a sinister alien world which explores the nature of humanity through the figure of John Redlantern, a righteous rebel in a society which never took a bite of the forbidden fruit of knowledge. Oppressive and terrifying in its credibility, it explores a society stunted by its vague adherence to the rules written down by “our mother and father”. Genetic disorders are rife as a result of inbreeding, formal education has long been abandoned and innovation is seen as a threat to tradition. The plot is genuinely compelling as you become caught up in the events building up to and following on from John Redlantern’s expulsion from the Family, but for me the most interesting aspects of Beckett’s new world were the cleverly imagined language shift which sees the nascent development of a new grammar system and a new vocabulary which takes account of the Family’s very different environment (especially the conflict between older and younger members of society when it comes to words relating to chronology- older members preferring concepts such as years, but younger members referring to wakings and wombtimes which are a more measurable concept in their sunless world) and the bastardization of Earth history which sees the family believing that Hitler killed Jesus, and some members of the Family looking to Hitler as a positive role model in times of conflict. It’s an interesting read for anyone interested in dystopian fiction and narrative. John Redlatern’s habit of considering how his present actions will be interpreted by future generations and the pointed counter-analysis of his character by Tina Spiketree add an extra dimension to a genre which has often been accused of flat characterisation. Cover design nerds will appreciate the clever effect that has been used to make rainbows play across the cover- I hadn’t seen this done before, is it a special laminate or foil? This entry was posted in Book Reviews and tagged books, entertainment, science fiction on April 8, 2014 by Siobhan. This weekend, at the age of 28, my boyfriend made his first ever cake for Mothers’ Day. He used this easy Classic Victoria Sponge recipe, but switched the butter cream filling for a cream cheese icing on my recommendation as butter cream can be a little sickly and his mother doesn’t have a very sweet tooth. To make a cream cheese icing whisk together 300g of Philadelphia with 125ml of double cream, then whisk in 150g icing sugar. 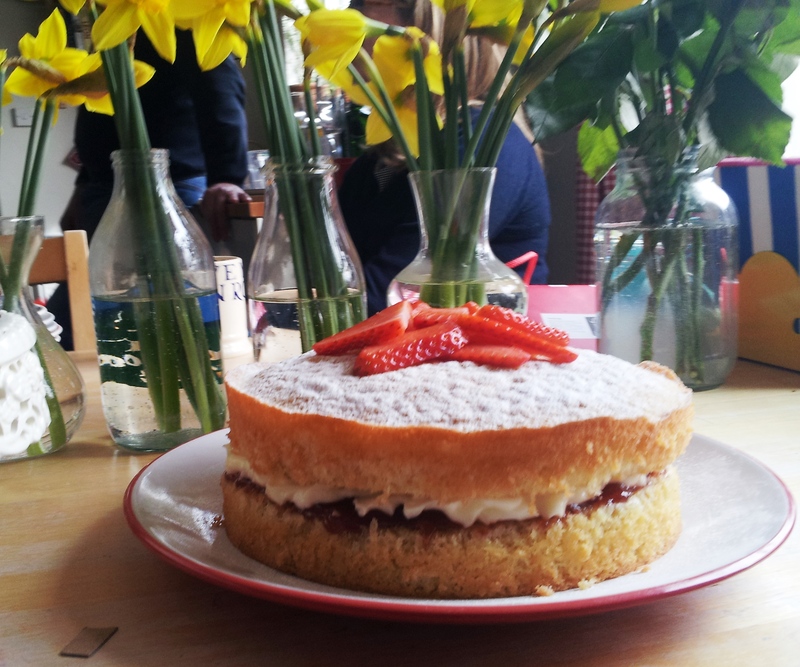 Obviously it’s much easier to make this simple twist on a Victoria Sponge with an electric whisk. He made this without any physical help from me, clearly his obsessive tendencies have paid off. 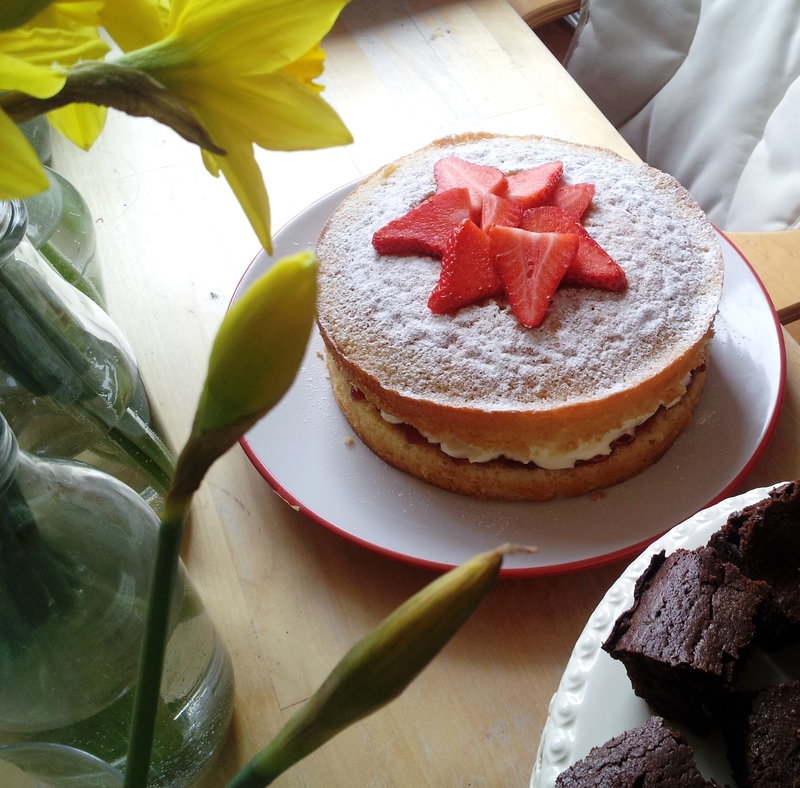 This entry was posted in Food and tagged cake, food, life on April 3, 2014 by Siobhan.